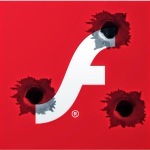 CVE-2018-15982: Adobe Flash Player Critical Flaw Detected, Patch Now! Hey !, I found this information for you: "CVE-2018-15982: Adobe Flash Player Critical Flaw Detected, Patch Now!". Here is the website link: https://sensorstechforum.com/cve-2018-15982-adobe-flash/. Thank you.